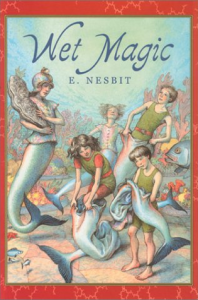 When four siblings journey to the seashore for a holiday, one of them unwittingly summons the sister ofa mermaid who is captured by a circus, and the children set out to save the imprisoned being. After a daring midnight rescue, the children’s reward is an incredible journey beneath the waves and into the hidden kingdom of the mermaids. But they soon find themselves in a race against time as they struggle to prevent a war and save their new underwater companions Here is a triumphant tale by one of the finest storytellers to ever write for children, and a pioneer of fantasy literature for this age group.